The first humans began to walk the Earth only 300,000 years ago, yet we have impacted it in such a way that today we have entered a new era that scientists have aptly named the Anthropocene. In this epoch, humans are recognized as the main drivers of ecological change. 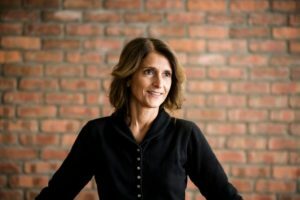 “If we accept that humanity is the strongest and most transformative force on Earth, we also must take responsibility for the repercussions of our actions,” said Global Distinguished Professor of Environmental Studies and Public Policy Sophia Kalantzakos, who leads the Arts and Humanities Environmental Research Initiative (eARThumanities) at NYU Abu Dhabi. It’s not that people don’t believe human activity affects climate. We understand it intellectually, Kalantzakos said, but additional data demonstrating this fact won’t necessarily encourage people to behave in a way that is more ecologically conscious. This is where the arts and humanities can add to the conversation. “The arts and humanities have always created stories of the future that help us understand or process it better,” she said. And though addressing climate change is an enormous challenge that will require transformations in policy at the global and local levels, it’s a challenge that should be addressed holistically. The eARThumanities showcases the contributions the arts and humanities bring to the global conversation about the environment, bringing in their own unique lens to the challenges of the Anthropocene, ranging from climate action theater, a studio art class that focuses on wood and trees in relation to the rise and fall of civilizations, and discourses on extinction. This post comes to us from NYU Abu Dhabi, the original can be found here.